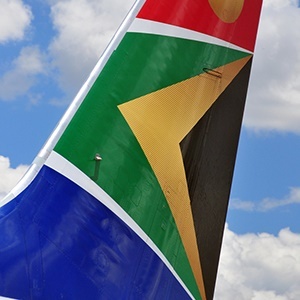 Johannesburg – The cost of having a national carrier far exceeds the benefits, and privatising South African Airways (SAA) or parts of it could be a sensible option, according to analysts. Speaking to Fin24 by phone on Monday, chief economist at Econometrix Dr Azar Jammine said many countries have done away with national carriers. Privatisation would have the benefit of saving the fiscus from having to use taxpayer money to provide bailouts for the airline, he explained. Last week Treasury granted SAA R3bn from the National Revenue Fund to prevent the airline from defaulting on a loan from Citibank. “A default by the airline on the R3bn would have triggered a call on the guarantee exposure totalling R16.4bn, leading to an outflow from the NRF and possibly resulting in elevated perceptions of risk related to the rest of SAA's guaranteed debt,” Treasury said in a statement. Further details of the refinancing of the airline will be announced at the mini budget later in October. Peron said although aviation has created thousands of jobs, enabled trade, encouraged business and promoted tourism, these benefits can be realised irrespective of who owns the airline. “The benefits SAA creates would still be there, regardless of who the owner may be. Peron said that if SAA were to disappear there would be a period of adjustment, and other airlines would step in to fill the gap. He warned that a complete collapse of the airline is likely as debt grows. “If SAA were to be sold to a private competitor, it is unlikely we would see much decline at all and many of the consequences of collapse could be avoided,” he added. Previously Finance Minister Malusi Gigaba stressed the importance of having a national airline. Earlier this year Treasury had provided a R2.2bn bailout to prevent the airline from defaulting on a loan from Standard Chartered Bank, which then pulled out as a lender. At the announcement of government’s 14-point plan to revive and boost confidence in the economy, deadlines were set for SAA. Among these include the appointment of a new CEO, Vuyani Jarana, who is set to start on November 1. Other deadlines include the finalisation of the five-year turnaround plan by December 2019. Gigaba also has to finalise negotiations with lenders to extend debt to the airline for the longer term, by the end of October. Of the R3bn, R1.8bn will go towards the Citibank loan and R1.2bn will be left for immediate working capital requirements, Treasury said. A total of R6.9bn is set to mature by the end of September. In a statement, the Free Market Foundation (FMF) said it is too late to privatise the airline and that it should be wound down. The R1.2bn would only be sufficient to carry the airline till December, the FMF suggested.